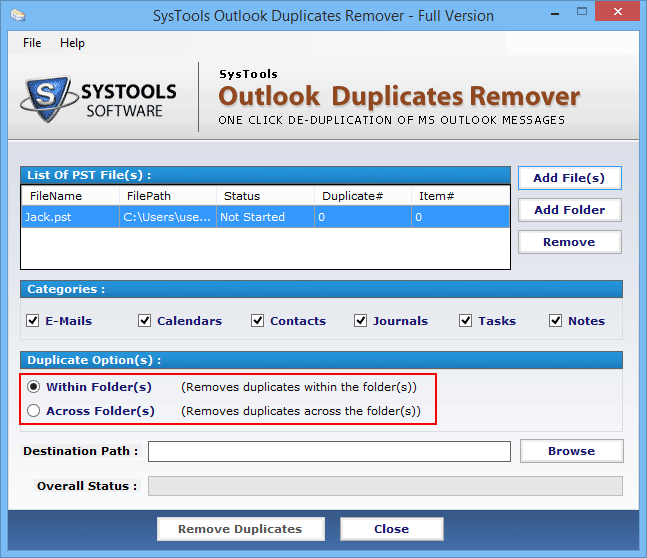 The tool is a well-design for Delete Outlook Duplicate Contacts and the removal of all the identical Outlook contacts from various MS Outlook PST files. It is a trouble free method to complete this task. The software is specialized to provide a simple to manage user interface. There is no doubt the level of technology used for the development of this tool is incredible in spite of it can be used by any user without much problem. Both a technical and a non-technical user can access it easily. The highly developed algorithms installed inside the software makes it proficient to find copied contacts from numerous number of contacts. After a user search for the PST file for same contacts, the software provide the details of all the contacts that are identical inside or across folder. Duplicates within Folder: This detects same contacts inside the folders of the Outlook PST files. 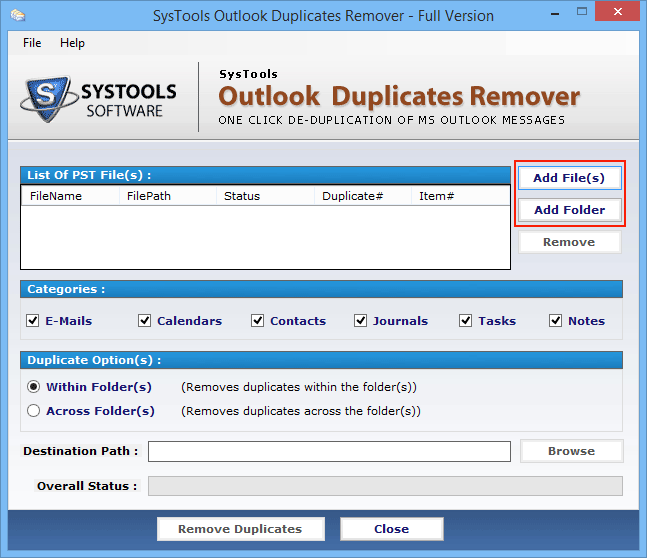 Duplicates across Folders: This option can find the duplicate contacts across different folders of selected PST files. Duplicate MS Outlook Contacts Remover supports all the versions of Microsoft Outlook thus more popular among the users. 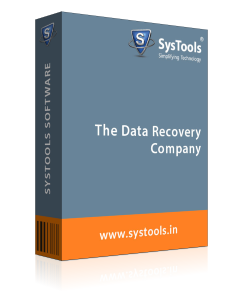 The software offers a smooth and effortless removal of copied contacts. 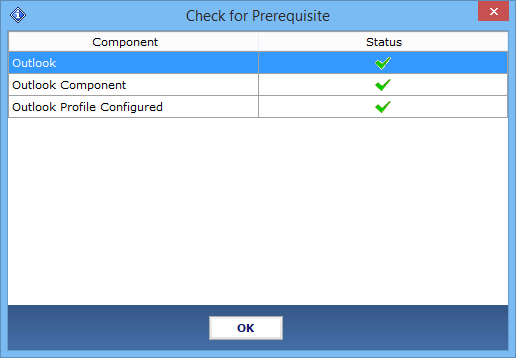 This supports Outlook version 2013, 2010, and all below version. Does this software of Delete outlook Duplicate contacts support all the version of Windows Operating system? 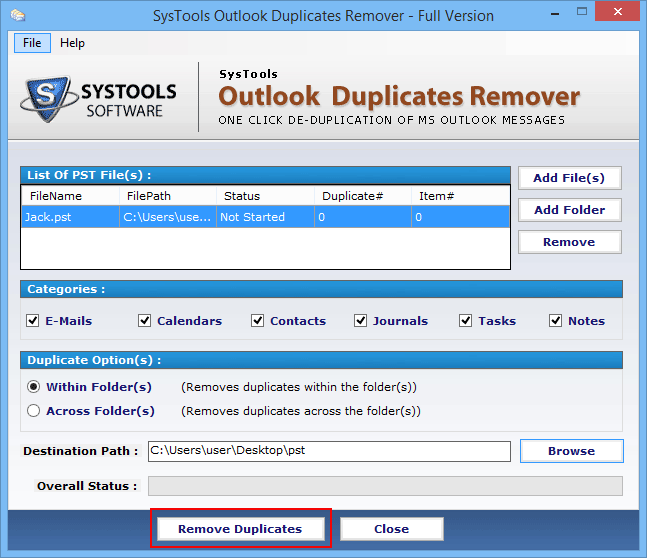 Ans :-Yes, Duplicate MS Outlook Contacts Remover is compatible with Windows version 10 and below. Is there any limitation in detecting Number of copied Contacts? Ans :- Yes, this software can detect all the contacts, which are same and you eliminate those contacts. 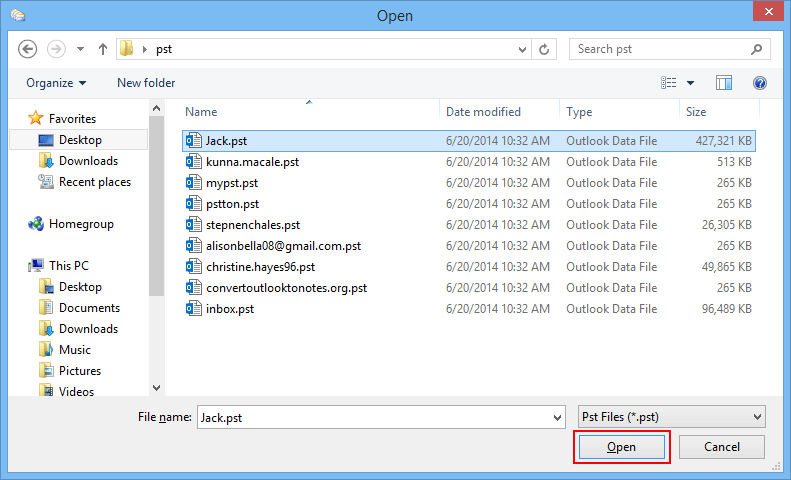 Step 3 : Now click on the option of “Add File"
Step 4 : Similarly, you have the option of "Add Folder", to select multiple Outlook PST files. Step 5 : Then, you will get a screen once you click on the button of Add File(s) button. Choose the PST file and then click on Open. This will open the preferred PST files. Step 6 : Now, in the next step, mark the checkboxes present in the section of Categories for deleting duplicate data, from contacts, contacts, emails, journals, calendars, tasks, and notes. Step 7 : Now, you can see two options; choose one of them, i.e. -First radio button is to remove duplicates within folder independent of other PST files -Second radio button to eliminate duplicates across PST files. Step 9 : Once you choose the destination path, to proceed further click on "Remove Duplicates" and begin the process. 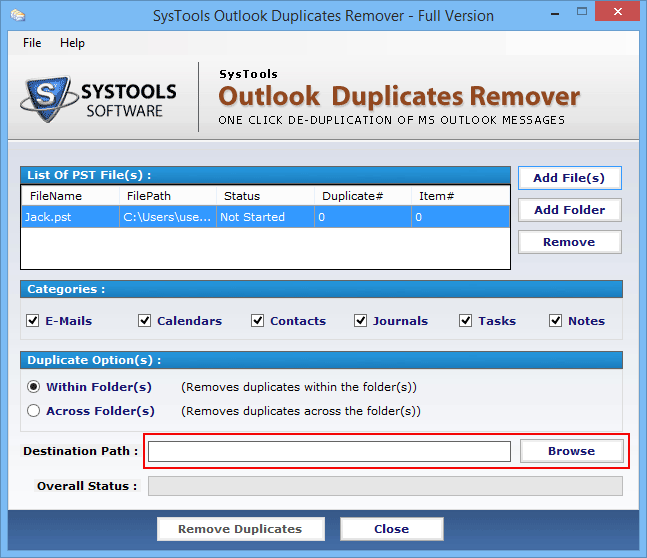 Step 11 : Once, the delete outlook duplicate contacts process is completed you need to click on Close button. Step 12 : In the final step, you can see the complete status of Duplication in CSV format file. I would like to recommend this tool to each and everyone to delete all the unwanted contacts i.e. same contacts permanently. I really appreciate the team who are behind the development of this amazing tool. In addition, I am amazed by their out of the box thinking.